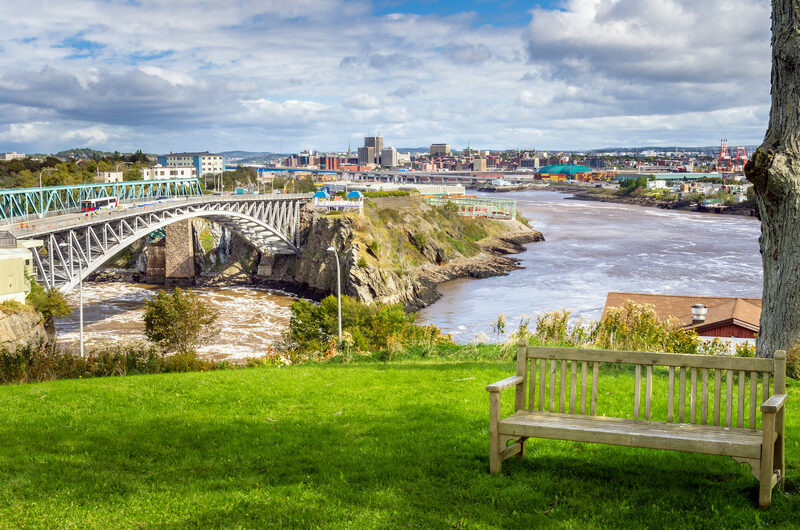 Saint John is Canada's oldest settlement dating back to 1604, when the Sieur de Champlain landed nearby on the feast day of Saint John the Baptist. Walk through the charming uptown and step into a vibrant past. Visit the Bay of Fundy a 170 mile ocean bay that stretches between New Brunswick and Nova Scotia, home to the highest tides in the world. View the famous Reversing Rapids as the tides of the monstrous Bay of Fundy collide with the waters at the mighty St. John River a unique experience for visitors to witness. The Saint John City Market offers a unique shopping experience for locals and visitors alike. Browse the stalls and find some of the finest handmade craft items, or sample some of the freshly made cheese or crusty bread. Bay of Fundy is home to the world's most dramatic and dynamic coastline with the highest tides in the world. Each day 160 billion tonnes of seawater flows in and out of the Bay during one tide cycle. Carleton Martello Tower is a national historic site dating back to the War of 1812. Explore the restored barracks room and powder magazine, and enjoy the view of Saint John and its harbour. The Hopewell Rocks is one of the top attractions in New Brunswick located along the coast of the Bay of Fundy, it’s a magical place to appreciate a the intricacies of nature.